This paper focuses on the editing career of Radojka Tanhofer, which can be divided into two main phases. The first covers Tanhofer’s years in editing (1940s - 1960s), learning and honing her craft, her work in numerous feature films with a number of domestic and international directors. The second covers her teaching at the Academy of Dramatic Art in Zagreb, Croatia (from the founding of the Editing Department as a two-year programme in 1969, until its development into a four-year full university study programme in 1977). The aim of this paper is to outline Tanhofer’s significance in the context of Croatian and Yugoslav cinema through the use of existing literature, analysis of significant works of classic Croatian cinema, as well as my own insights into the history and current practice of the Editing Department at the Academy of Dramatic Art, University of Zagreb, as a former student, and now assistant professor. 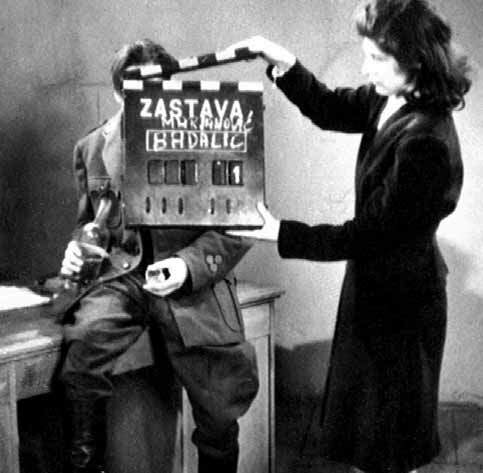 Radojka Tanhofer; Yugoslav cinema; film editing; editor; female cutter; Croatian film; Academy of Dramatic Art (University of Zagreb); film pioneer.